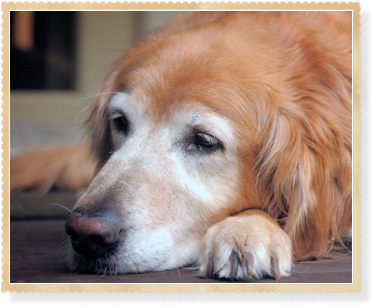 Because animals age must faster than humans they are considered seniors sooner than you may think! We already recommend complete physical exams on all of our patients every 6 months. However, detecting many diseases are very difficult by exams alone. Many animals mask signs of illness from the owners until it is considered chronic. Early detection of any disease process is vital in our attempts to cure or manage and continue with your pets high quality of life. Age is NOT A DISEASE! If your pet is losing weight, having difficulty chewing, getting up slower, not jumping any more, not as playful, not eating well, drinking more water, not drinking enough water and the list can go on, there is probably a reason for this other than age.